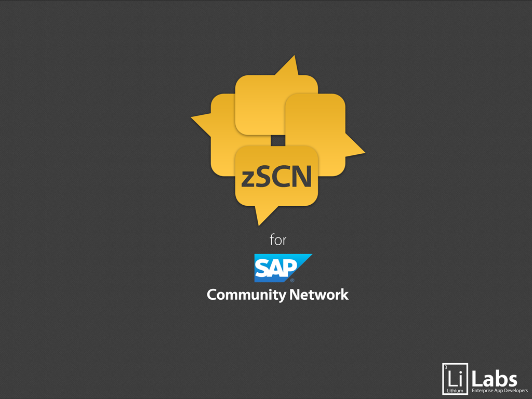 After spending a couple of months traveling in 2012, I wrote a personal app for reading and following content created on the SAP Community Network. Although it was slightly buggy and ghetto, I found it way faster than firing up my MBA to check if a comment or something helpful had been posted in my local Netweaver Gateway hangout. I spent the last +- 6 months using the app and after reading a few comments on the new Idea place and in the forums, I decided a couple of others may find it helpful and set out to build a user friendly version. Currently the app has been written for iPad only but the iPhone version is in the works, but since blogs and more in depth content is more conducive to read on a tablet, I am still trying to decide if it would be warranted … any comment? Personally, I am quite surprised the Community does not have a mobile app for iOS/Android since it would ultimately bring better adoption and collaboration amongst the users. Like all the other free apps I have developed, this is a work in progress and am hoping the direction and goals get driven by the community of users, so any and all constructive comments are welcome!